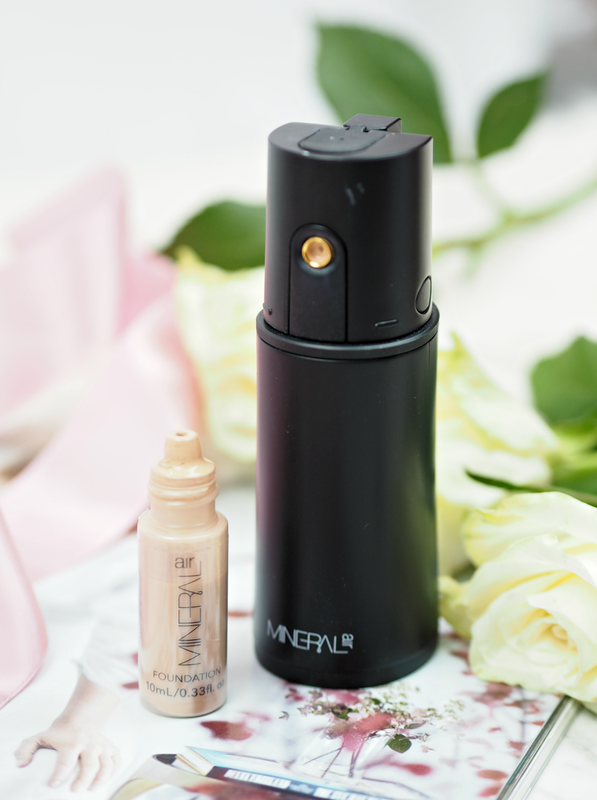 Can Airbrushing Your Foundation On Really Provide A Superior Finish? One of the most laborious tasks I undertake every day is applying my foundation. The cleaning of the sponges, the couple of pumps into my hand, the meticulous dabbing on and blending into every crevice, followed by a touch of concealer and dusting of powder, doesn’t fill me with joy. It’s not the easiest of processes to complete before I’ve had my vat of coffee either. What I’ve also started to notice as I age is that my base sits within those fine lines and creases, making the whole process harder, and throughout the day they become even more prominent – to the point where I have to re-apply around certain areas in an attempt to make them less obvious. Although right now I’m seriously considering a touch of botox, I’m also seeking out less invasive solutions to ensure my makeup stays put and is as line-free as possible. I’ve heard a lot about airbrush foundation, but until now it’s been mainly a professional solution saved for film sets, photo shoots and wedding days; although it’s been used within the industry for decades, only recently has it made the transition into the makeup bags of beauty enthusiasts and become available as a consumer friendly alternative. So what’s so great about this ‘new’ way of applying your base, and why is it so revolutionary if you’re looking for a way to beat the fine lines? When airbrushing foundation onto skin the makeup is dispersed as an extremely fine mist; millions of tiny little dots are created on the skin, which creates somewhat of a ‘net’ over the entire face – that’s both barely noticeable to the wearer and perfectly formed to the beholder. The result is an extremely light, but extremely dense, colour finish that perfectly moves with the face and prevents creasing or movement throughout the day. Sounds great huh? The people over at Ideal World TV launched their own version of an at-home airbrushing system, and in the interests of scientific comparison (!) sent me one to put it to the test. 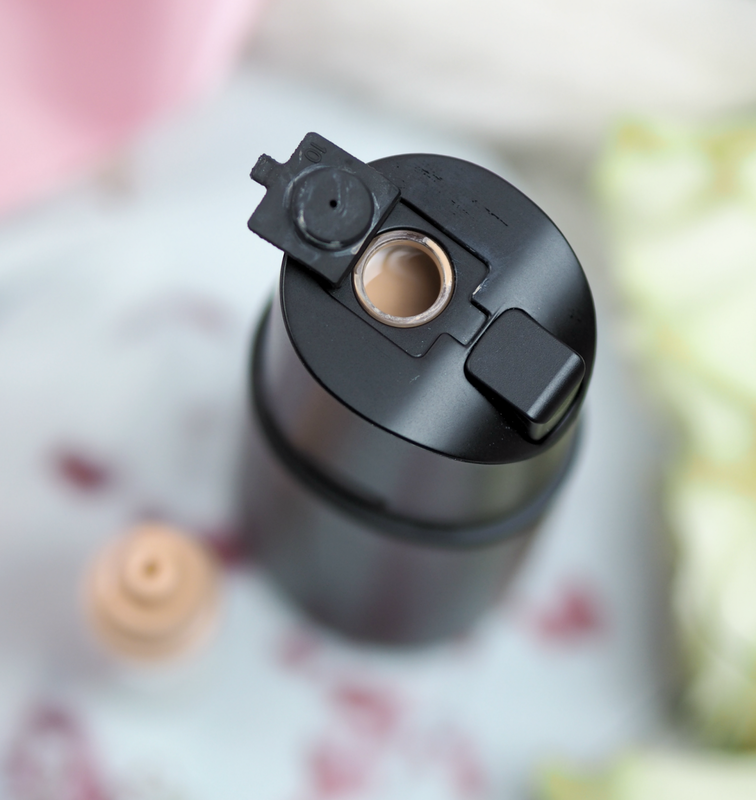 Thankfully it’s much more compact than the professional versions and far easier to use; all you do is pop around ten drops of foundation into the compartment and press the button to release it with a constant flow of air. It’s cordless and lightweight, providing flexibility and ensuring it’s travel friendly, plus the airflow is so comfortably cooling that you could almost take a nap while doing your makeup. I was rather dubious when this arrived and thought it would probably be a bit naff, but the results are really quite good and leave a very light but very even finish on my skin: it can be built-up easily for light to heavy coverage, but also sits more subtly within those fine lines and creases. Although you’re a bit blind during the process (literally, as it’s advisable to close your eyes most of the time!) the results are surprising, especially considering I’ve decided I’m rubbish at knowing where to aim and when to move on – you just have to hope you’re spraying in the right place and stop every so often to look over your handiwork. I’ve found that going over your whole face two or three times is the best approach, as it gives each layer a chance to dry fully before you top up. Generally speaking the airbrush system does most of the blending work for you, with only a slight need for a blot of a sponge on some of the areas where I’ve overdone it, which I guess is the whole point of the technology: to create a flawless finish in seconds. Otherwise it’s easy peasy and absolutely mess free; it’s so much more hygienic than faffing with brushes and sponges, simultaneously reducing wastage too by only using what you absolutely need. Unfortunately this isn’t a cheap way to up your foundation game, with the set (featuring machine, vial of foundation and blush) currently priced at £114.99. Although it’s an effective (and dare I say it, fun) way to apply your base, it’s not something that everyone is going to want to or be able to afford to get on board with. Personally I don’t think the inconvenience of a sponge or brush is worth trading up for when the cost is so prohibitive, but if you struggle with foundation application or simply want to invest in something a little bit different, then it’s worthy of a second look. 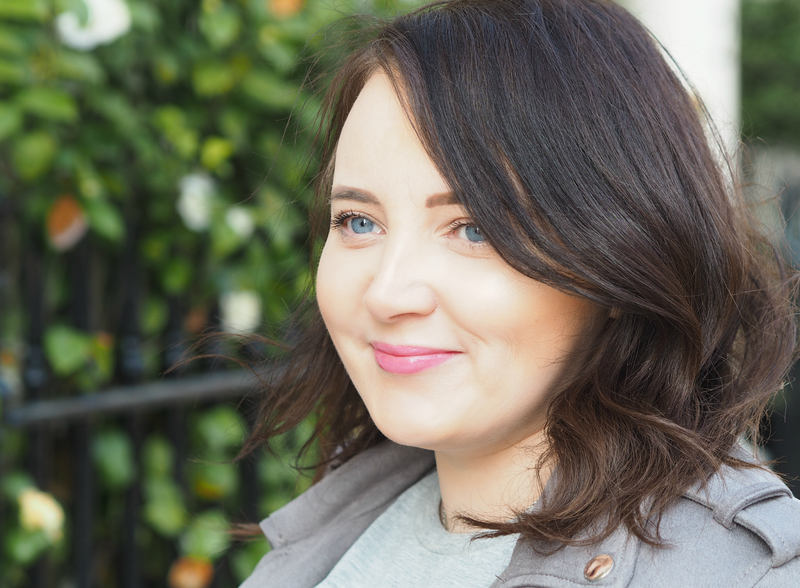 I’m absolutely convinced this is a great way to create a more flawless base for those of us with fine lines and imperfections, but it’s not something I would be reaching for every day – especially as you have to use a specialist foundation, rather than just chucking in your own. Definitely one for the early adopters or spendy among you, but an interesting development within the world of makeup regardless. Have you tried airbrush foundation before? Would you be tempted to invest in an at-home system? 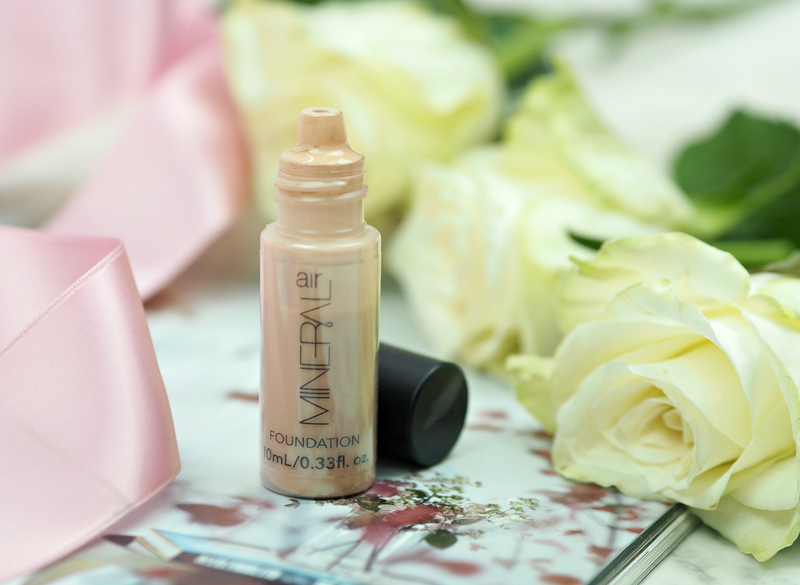 The Mineral Air Airbrush Foundation System is available via Ideal World TV, priced £114.99. I've always wondered – doesn't it cover your eyebrows and eyelashes? Do you have to wipe them clean afterwards? Good question! It doesn't get on lashes, but you do need to wipe your brows a little. They're not completely covered, but just almost dusted. This could be right up your street then! I've no doubt this will transition down and become even more affordable – all it really is is an air pump. Haha I feel your pain! The things we do for beauty eh! I'm sure it will – give it a couple of years and L'Oreal will be doing their own version! I use the Dior Airflash and it is incredible. It is my forever go to foundation. I would have really liked to have seen an example of how this looked on your skin!